3 Bedroom Semi Detached House For Sale in Sheffield for £155,000. A very well presented three bedroom modern semi detached property situated on a sought after block paved cul-de-sac development in Firth Park area. Accommodation on two levels with a spacious lounge, new white gloss fitted kitchen and diner with integrated appliances and breakfast bar, ground floor cloakroom with W.C. and a large supalight insulated conservatory to the rear of the property. The second floor consists of a master bedroom with an en suite shower room, two further first floor bedrooms & a modern family bathroom. Throughout the house the property benefits from luxury vinyl tiling and ceramic tiles in the bathroom and en suite, further benefits are gas central heating & uPVC double glazing. New combination boiler fitted in 2015. Well maintained block paved garden. Rear driveway and pebbled front garden. 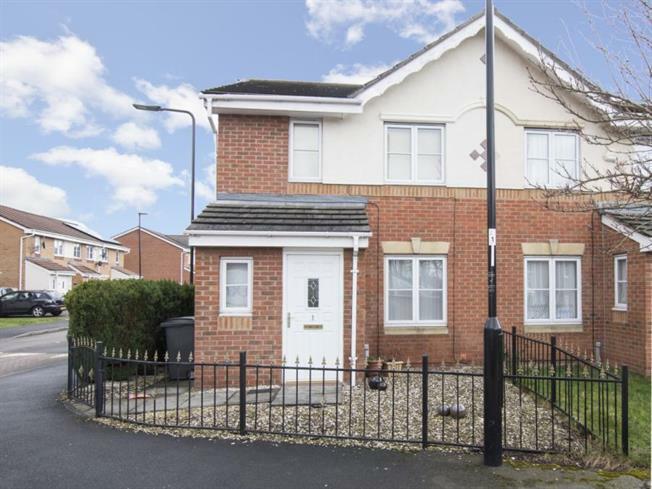 Ideally situated for local shops, schools & access to the Northern General Hospital, Meadowhall & M1. Viewing recommended. No Chain.